A witty sign that will leave visitors to your house under no illusion as to where your priorities lie! 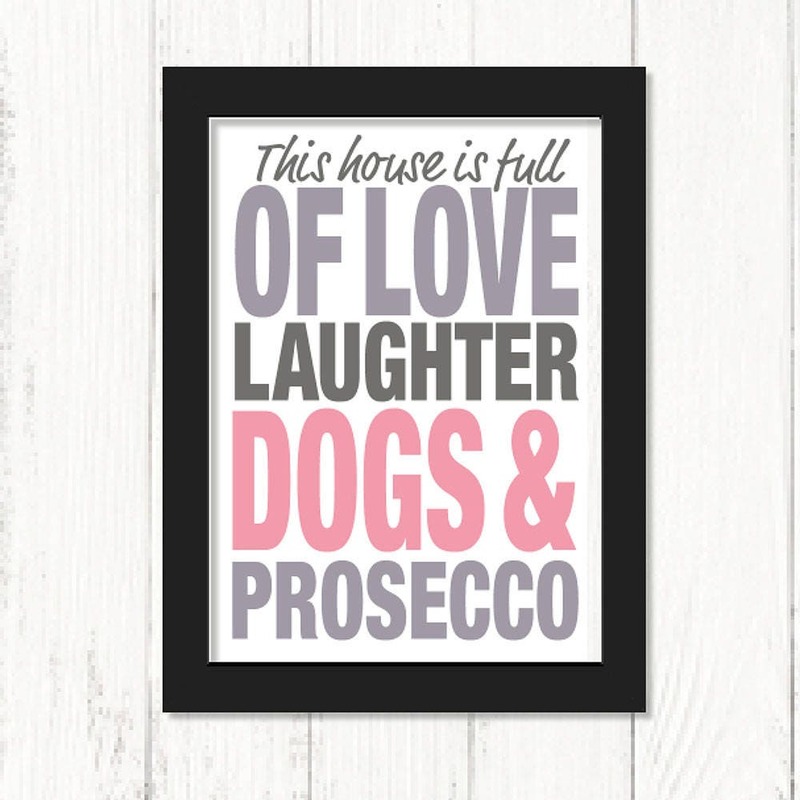 Our ‘This House is Full of Love, Laughter, Dogs and Prosecco’ art print makes an ideal gift for dog lovers for any occasion, be that Mother’s Day, Christmas, birthdays, or just because today feels like the right day! Simply add the correct sized frame and hang your dog print on a wall or stand on a shelf where visitors can see it.